Can We Maximize The Economic Benefits Of Microalgae Biofuel Production? An increasing body of research has indicated that microalgae biofuels have the potential to effectively transition society away from fossil fuels at lower economic and social costs (Doshi, Pascoe, Coglan, & Rainey, 2016). However, the current infancy of production technologies results in low cost-efficiency and the inability for the fuel to compete with fossil fuels or even existing biofuels produced from agricultural-based feedstock (e.g. corn, sugarcane, plant-based oils). Microalgae producers have therefore focused on the commercial returns of niche nutraceuticals despite this potentially stagnating development of a new industry and being exposed to fluctuating prices of a small market. An alternative commercial pathway analyzed in this paper is the production of biodiesel within an integrated, multi-output system. This system benefits from key inputs (nutrient-rich wastewater and carbon-rich flue gas) obtained through integrating with complementary industries and allocated the resulting biomass to multiple outputs: biodiesel, aquaculture feed, and agricultural fertilizer. This pathway presents a number of key benefits for both the private sector and also society in general. In particular, it allows the private producer to establish the industry and produce the biofuel at a competitive price whilst still achieving financial feasibility. More broadly, integrating with a complementary waste-producing industry (like aquaculture) allows for the bioremediation of waste effluents that reduces financial costs for both parties whilst lowering potential environmental costs borne by society. The analysis extended the typical techno-economic analysis model to capture the integration and multiple outputs. Unlike other assessments that try to estimate a unit price for producing biodiesel, this work assumed that the biodiesel would be a perfect substitute for fossil fuel diesel and was priced at a similar level. 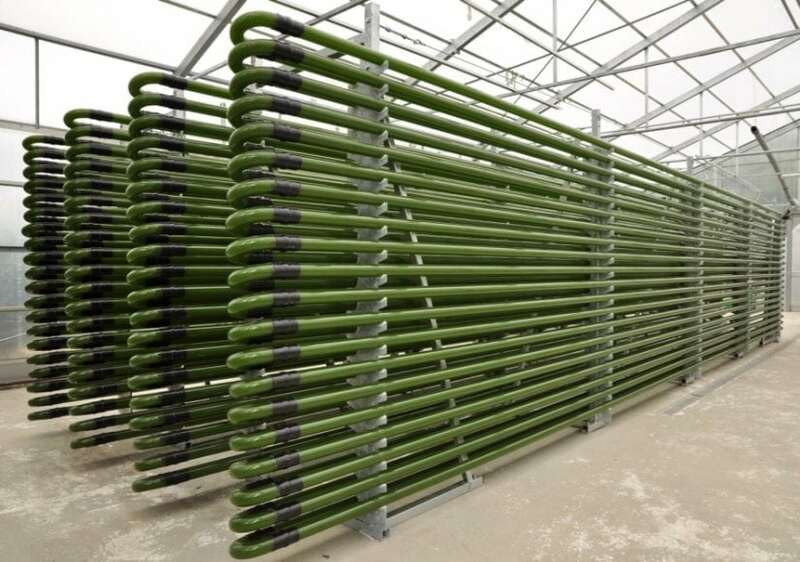 The microalgae would be intensively cultivated in open-ponds and the biomass allocated to the three outputs. Additionally, any biomass converted into biodiesel would have to go through a lipid-extraction process leaving behind residual biomass that could then be reallocated to other outputs. Assuming a 20-year production period, the analysis found that the system would only be financially feasible (through a positive Net Present Value or NPV) if a maximum 40% of the biomass was allocated to biodiesel, with the remaining biomass (and residues) being equally allocated to feed and fertilizer. The capital infrastructure for biodiesel production represented the highest source of explicit capital costs at 76.7%. However, it only contributed to 2.27% of revenues. It was primarily through the production of high-value feed and fertilizer that the system achieved feasibility. If 100% of the initial biomass were allocated to biodiesel and only residues to the other products, it would only contribute 7.35% of revenues. Interestingly, the use of waste effluents as a source of nutrient inputs reduced what was the highest contributor to operating costs. A sensitivity analysis across a number of production and economic parameters revealed that improvements in the growth rate, a touted possibility through bioengineering, had the greatest impact on the feasibility of the system although this was largely due to the returns from the non-biodiesel outputs. Most fascinatingly, a 20% improvement in the cost-efficiency of the capital infrastructure for microalgae biodiesel production was found to cut the overall payback period by 40% and increase the NPV 17-fold. The results highlighted the commercial and socio-economic potential of microalgae biodiesel production within this integrated, multi-output system. Biodiesel could be sold at a competitive $1.50 rather than the cost price of $24.18 a liter whilst still maintaining financial feasibility. Although the use of the most established and less cost-effective transesterification process meant biodiesel production would not be a profit-maximizing option, there is the potential for this process or more efficient thermochemical conversion routes to improve this aspect. However, the development of biomass to biofuel conversion technologies only capture one aspect of the potential for microalgae industries. The environmental and economic benefits from microalgae production are not directly captured in the market price. The benefits of integration with waste producing industries and more broadly, the use of microalgae biofuels over fossil fuels or conventional biofuels, could be a key motivator for private and public investment. This would allow for the accumulation of infrastructure, establishment of supply chains, progress in research and development, and stimulate a market transition away from fossil fuels. Hence, this research shows that assessment of newer fuel technologies should consider the broader implications of the industry and if it meets longer-term sustainability and economic requirements to warrant a social license. This study, The financial feasibility of microalgae biodiesel in an integrated, multi-output production system was recently published in the journal Biofuels, Bioproducts and Biorefining. Amar Doshi is an analyst at the Queensland Competition Authority and an economist for The Commonwealth Scientific and Industrial Research Organisation.